Las bendiciones proféticas de Jacob acerca de sus doce hijos en Génesis 49. 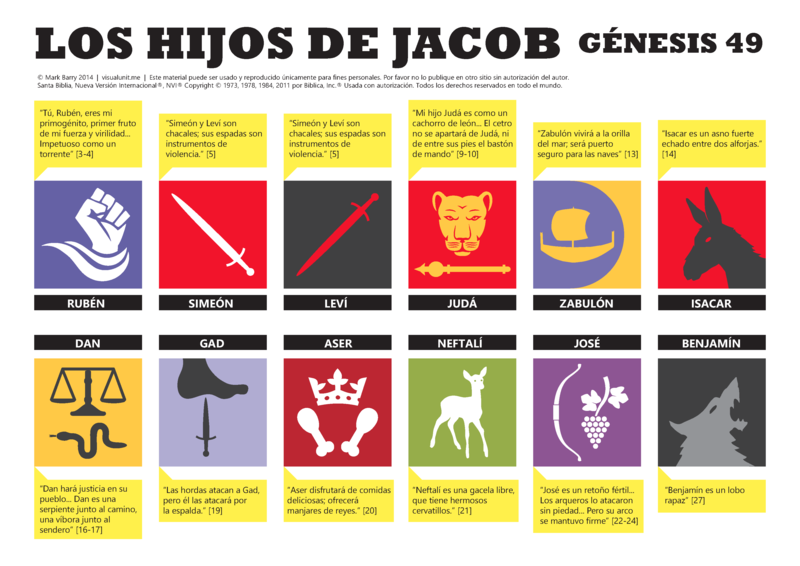 Spanish version of the Sons of Jacob from Genesis 49. PDF version (385 KB). This entry was posted in Spanish and tagged Genesis, tribes. Bookmark the permalink.